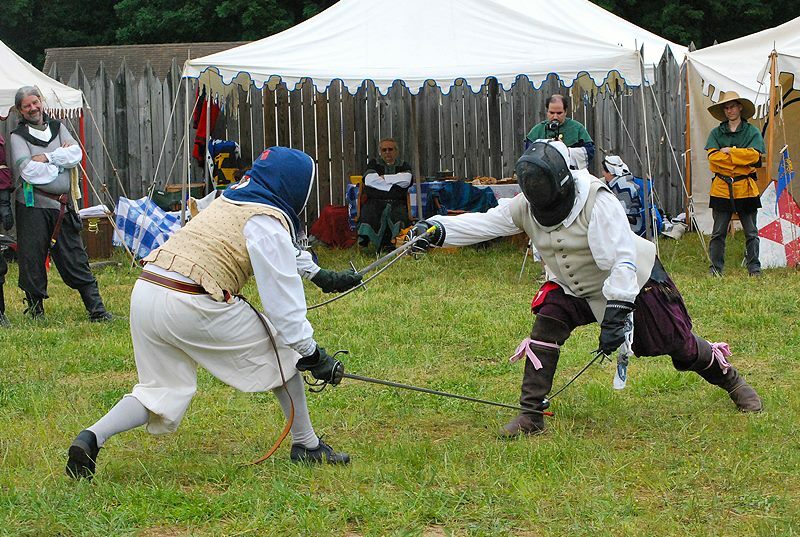 This is the third in a series of interviews with peers of the rapier world, throughout the Society. I have spoken with representatives of the Order of the Laurel and the Order of Defense, digging into their experiences and perspectives on the evolution of the fencing world. While there is an admirable company of these respected individuals in our Kingdom of Ӕthelmearc, I have approached several more from our neighbors in the Midrealm, Atlantia, and the East. I hope these interviews offer an interesting look through the eyes of rapier fighters that have risen to the prestigious rank of Peer of the Realm. Credentials and History: Who are you, what do you do, and who elevated you? My name is Aedan Aylwyn. I first started in the SCA back in ’80 or so in high school and for my first two years of college. This was back in Calontir while it was still a principality. Life came up, then more life and then a trip overseas for Uncle Sam to an active war zone. 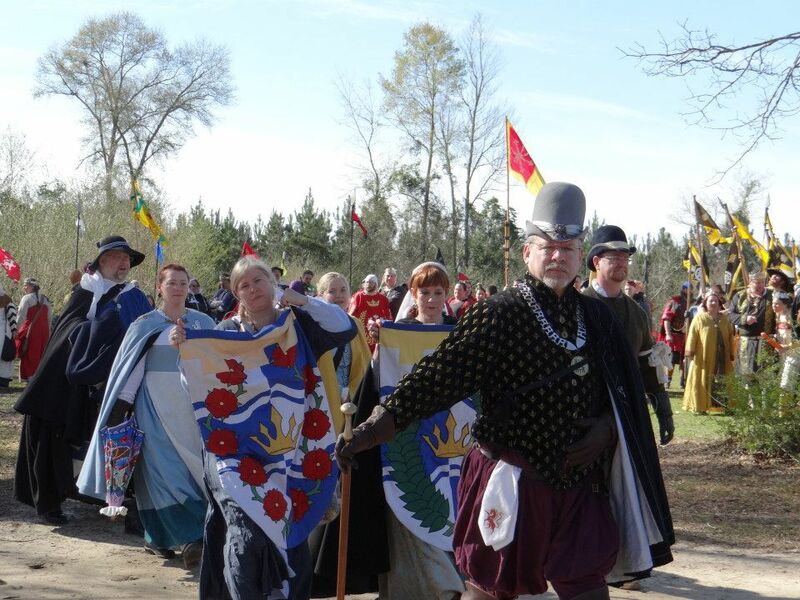 When I came back, one of the life changes I wanted to make was to get back into the SCA. I was living in the Washington DC area in northern Atlantia. So I really consider my SCA time to start in ’92 in Atlantia. I had some college sabre fencing experience that started me into rapier. I was mostly self-taught, having quickly moved to a city where there were no other rapier fighters. I must have done pretty well and I definitely kept very busy as I was recognized with Atlantia’s top rapier award in ’95 as the 12th Provost of Atlantia by TRM Cuan and Bridget. Half a year later, Atlantia signed the White Scarf treaty and grandfathered all of the Provosts (closing that order). I’ve served as Baronial Seneschal and solo Landed Baron (no Baroness). 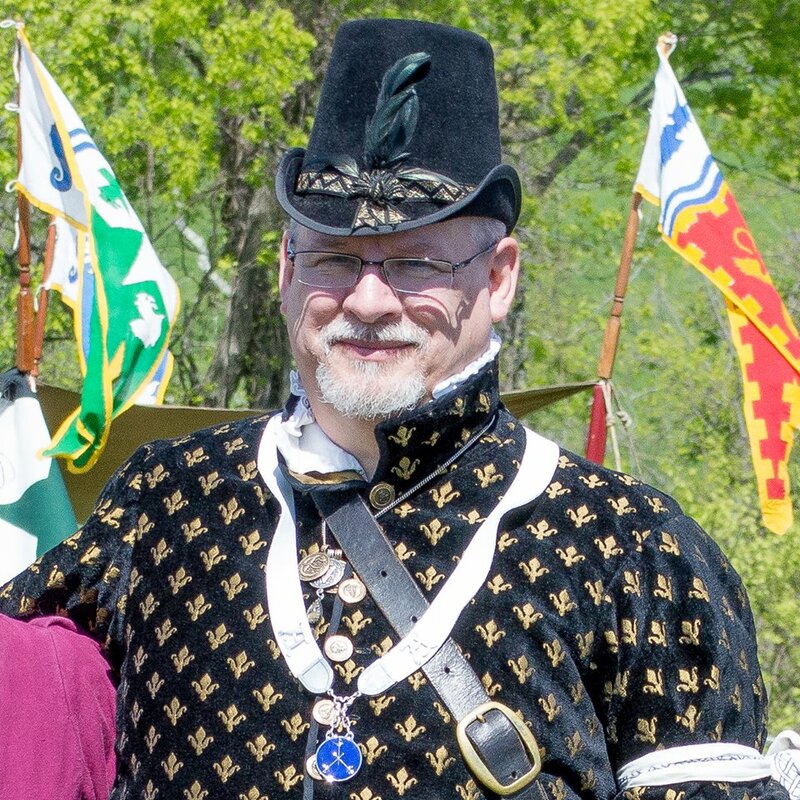 I was the 4th Society Rapier Marshal where I overhauled that office, instituted online information, reporting forms and deadlines and the first comprehensive rewrite of the SCA rapier rules, adding the third form of Cut & Thrust combat at that time. 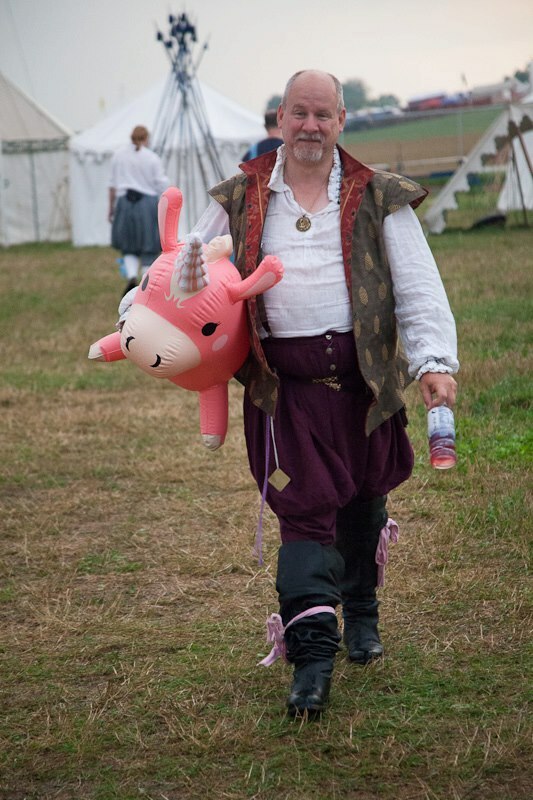 I have kept very busy for the past 20+ years, being recognized by numerous Kings and Queens with their personal awards, six times with the Sharks Tooth for ferocity in combat (on both the armored and rapier fields, both melee and tournament) and Atlantia’s Orders of High Merit for service (Golden Dolphin) and combat teaching (Sea Stag). I was greatly honored by TRM Amalric and Caia in ’00 with them making me the 6th Companion of the Nonpareil, an Atlantian award given out at most once per reign for “showing excellence, honor, courtesy or chivalry above and beyond any duty and exemplifying what it means to be an Atlantian”. TRM Ragnarr and Anneke inducted me into the Order of the Pelican in ’06. Most recently, I was honored to become one of Atlantia’s three premier members of Order of Defense by TRM Logan and Esa. What is your focus of study/training? How do you like to fence? I am a very process focused person. This is probably the only reason I was able to do as well as I did with no direct teachers, instead going to events and working with anyone that would hold still. For a long time, I essentially developed my own style, graduating from light rapier to heavy rapier as that came into existence. It wasn’t until Dante di Pietro, a former rapier student of mine that had become a peer in the WS, started studying Capoferro in depth in ’05 that I had a good vehicle to reinvent my fighting for probably the fourth time in my SCA career. I started by learning Italian rapier from/with him and specifically Capoferro and later going back to my roots of finding commonality and underlying concepts in what and how this stuff worked. Since then I have become a big fan of Giganti for the theory and philosophy of fighting rapier. For the past couple of years, I have taught classes on tempo, measure, Italian blade work concepts and Giganti’s philosophy of counter-guarding. I enjoy fencing in all its forms, both tournament and melee. Competing in the prestigious Ruby Joust Tournament. Photo by Courtney Pachis. What draws you to fencing, inspiring your dedication towards excellence? At first, it was the easy analog to the little bit of Olympic style fencing that I knew. Since then, it was the community of people involved and the joy of executing clean technique successfully over slop or sheer athleticism. What goals do you set for yourself as a fencer, teacher, peer, and citiczen of the kingdom? My first reaction was that you listed those in reverse order. One of the best things about Atlantia (in my opinion) was that the early rapier leaders (of which I quickly become one) set the tone that you were an Atlantian first and did whatever you did second. I described this as “being an Atlantian who fights rapier, not a rapier fighter that lives in Atlantia”. My goal is to continue finding people that are dedicated to improving Atlantia and rapier and helping them succeed. If I can teach someone to the point where they beat me straight up in a tournament, I made my goal. Ditto for helping someone that becomes a senior marshal, succeeds in HMA studies or steps up for a major office of any sort. What challenges have you face as you became the fencer you are and as you become the fencer you wish to be? As stated previously, I started in the Barony of Storvik and learned the basics of rapier fighting but quickly moved down to Caer Mear which had no other rapier fighters at the time (and for many years after). My initial learning was all done by attending events, analyzing my tournament fights and doing pickup fights/training with anyone that would hold still at an event. It helps that I didn’t start really fighting rapier until I was almost 30 years old so I never had a chance to rely on being young and fast. I have always been an analytical person and fighting styles were just one more thing to break down and figure out. As historical studies come into prominence, I was mentally set to once again reinvent how I fought to now “do it right” the way I had always wanted. What were your thoughts and feelings as the Order of Defence was announced and approved? On the one hand, I was always for it. I thought that providing a way to recognize prowess in rapier would always be a good thing and was previously lacking to a degree in the SCA in general. On the other hand, Atlantia has always had a well-integrated fighting community. Some of what I saw in other Kingdoms was a feeling of “if we only had X, we would be respected and listened to”. That’s never been the case in Atlantia so while I thought the recognition would be a good thing all around, it never stopped me from doing what I was doing and enjoying it while I did. How did you feel when you were asked to be a Master of Defence? What did you think being a Master would mean? I had one of those “angry young man” moments before I became a Provost A good friend confronted me with my poor attitude and it made a big difference. Since that point, I have been very careful to not anticipate any type of recognition or award and focused on doing what I did because I enjoyed it and thought it made a positive difference. I was very honored to be one of the premiers of the Order but I really did try to not care about it if and until it happened. As to meaning, I just see it as an extension of all of the leadership I am currently providing for rapier. It will take some time for the OD to truly separate from the Atlantian White Scarf order so I still think of myself as part of that larger ~60 person group. Until that time, I have the added responsibility of setting the correct tone for those member of the OD order that will follow me to make sure we do the best we can for Atlantia. A serious competitor…but not too serious. Photo by Victoria Dye. The Order of Defence is new, allowing for new traditions to be formed. How was working with vigilants from around the Society to give birth to the new order? Interesting but frustrating at times. The culture of rapier in Atlantia made for very easy adoption of this new Peerage. It just fit right into what we’re already doing. I’m a big fan of being knowledgeable about other Kingdoms and their culture but there were still times where I just shook my head at some of the aspects that others were stressing about and determined that “we need to fix this and all do it the same way”. How do you see your views on training and study changing? Your role in the Kingdom? Society? No changes at all. I’ll keep doing what I have been. I don’t really see the OD peerage impacting that. I suppose it might affect how others perceive me but I am not too worried about that and will deal with it when it crops oup. What advice would you give newer fencers aspiring to improve themselves as fencers and citizens of the Society? Have goals in mind, both short term and long term. Find teachers and styles that work for you. If you ask for help, listen to it and question your reasons for both following it and for ignoring it. Do something besides just rapier and be active in your local group and your Kingdom. Understand that there is no “one true way” for anything but make sure you have a good reason for what you do and what you don’t do. I think winning is lots of fun but don’t be a d*ck about it. If you find yourself feeling apologetic about something after a win, you probably did something you shouldn’t have. Always set your goals against yourself, not against anyone else. Did you fight above your normal? Make something work that you’ve been practicing? Do something stupid that you knew better about? Don’t beat yourself up because X is better or Y looks nicer. Compete against yourself. How do you expect working with the Orders of High Merit, such as the White Scarf, to evolve as the Order of Defence grows into greater responsibility for the community? I really don’t see much changing. As a Pelican, I don’t think anything about someone with a Golden Dolphin (High Order of Merit – Service) taking on a job or getting something done. Other than joking with close friends, I hope I never see or hear “you’re only a WS, you should listen to me or do what I say because I’m a Master of Defense”. If you make it to the White Scarf or equivalent level, I expect you to lead the community just as much as I do. A champion and servant of his kingdom, Atlantia. Photo by Elashava Bas Riva.